When I open a newspaper, I expect to get depressed about the bad news that fills the paper. But when I open a medical journal, I don’t expect to get depressed, I expect to get enlightened about new methods, awed at new technological advances, and inspired by human stories… today, though, I just got more depressed. An article in this week’s JAMA looked at the administrative cost of physician billing at Duke University Medical Center. To start, the authors mapped the entire billing process – it takes 12 different steps and involves many different people along the way. The results confirmed what most of us intuitively already knew: billing for medical services is costly and the time cost to the physician is excessive. 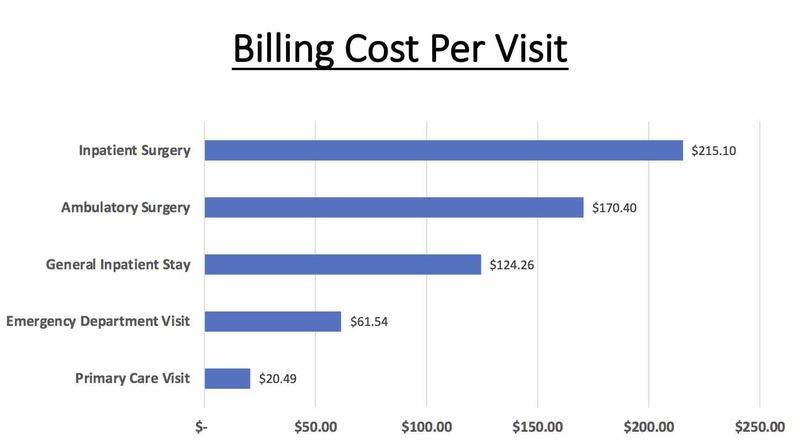 The costs ranged from $20.49 to pay for the billing costs of a primary care physician visit to $215.10 to pay the billing costs of an inpatient surgery, and this was just for the physician services. 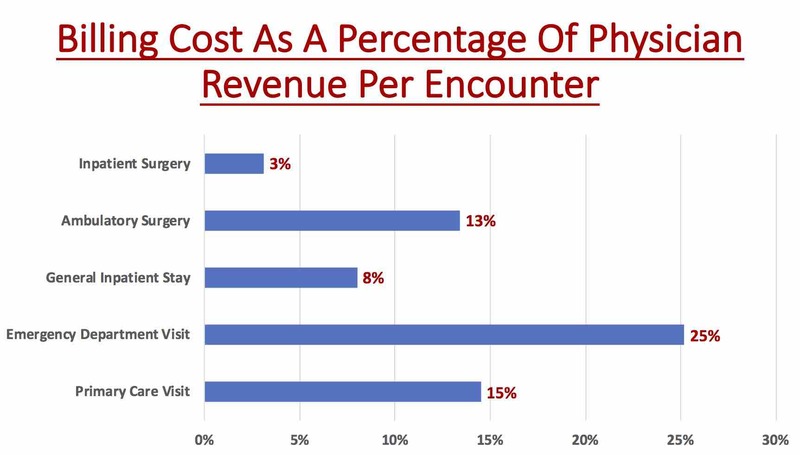 On the surface, this might seem like the costs to bill a primary care outpatient office visit are pretty low but the problem is that the primary care physician gets paid a very small amount for that visit, compared to, for example, an inpatient surgical procedure. So in many ways, it is more useful to look at the percent of the revenue that the physician gets paid for a service that has to go for billing expenses. The results are astounding. Fully 25% of what an emergency room physician gets paid goes toward paying for the cost of billing that service. 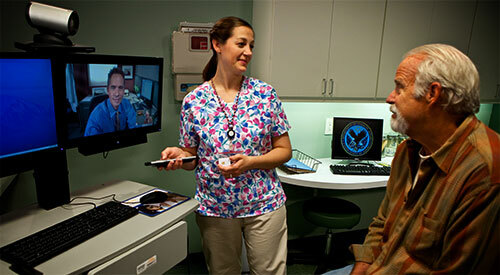 For that primary care office visit, 15% goes toward coving billing costs. Although revenue cycle staff do a lot of the billing work, disturbingly, a lot of the time of billing is done by physicians. So, for example, for that primary care office visit or for the ER visit, the physician spends 3 minutes preparing and submitting the bill. The amount of physician time to bill a general inpatient stay is 5 minutes. For either an outpatient or inpatient surgery, the physician spends 15 minutes doing the billing. Transferring coding responsibilities to the physician. In the old days of paper billing cards, you kept a list of a dozen of the main diagnoses that you most commonly used at the bottom of the card. You would check a diagnosis and a level of service and you were done. The billing staff would do all of the data entry and file the bill. Now, the initial data entry is all done by the physician and so it takes more time for the doctor to enter an electronic charge than it used to to enter a paper charge. ICD-10. This was hyped as a more exact way of tracking diseases and conditions. It takes considerably more time to locate and select the exact code for a patient in ICD-10 than it did in ICD-9. 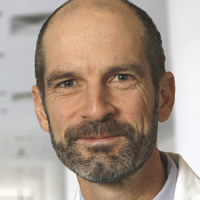 The additional complexity may give more exactness to the diagnosis for billing purposes but this has zero impact on the actual care that the patient receives and only adds time and effort for the physician. Increased insurance scrutiny. Insurance companies may a living by denying charges. 20 years ago, I spoke with an employee of one of the largest health insurance companies in the country and she said that she was told to deny every 10th claim randomly because most of the time, the physician would not want to take the time and effort to appeal the denial and those denials translated into greater corporate profits. 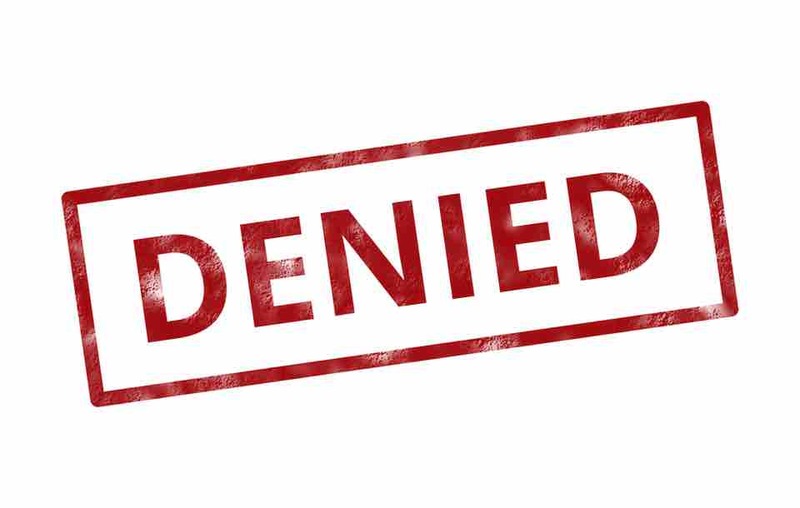 Although insurance companies are not so egregious now, they still pose time requirements on physicians for billing and approval. For example, today, I had to do 2 “peer-to-peer” appeals for tests that I ordered that were denied by the insurance companies. One was to get authorization for a cardiac echo in a patient who had a history of myocardial infarction who I was consulted on for shortness of breath – I have no idea why they denied it and the peer physician that they had me talk to approved it right away… but the phone call with multiple layers of phone tree recordings and time being put on hold took 6 minutes of my time. The other was for a chest CT – it was the third time I had called to appeal the insurance company’s denial. The first time was in November and it was approved without a fuss (but with a 4 minute phone call). The second time was in January because the patient got called out of the country on business unexpectedly and since the prior authorization approval was time-limited and the time expired, it had to be renewed (another 5 minutes phone call). Today’s was because he had to leave to go out of state on a family emergency this month and the prior authorization approval again expired so I had to renew it a third time (another 4 minute phone call). 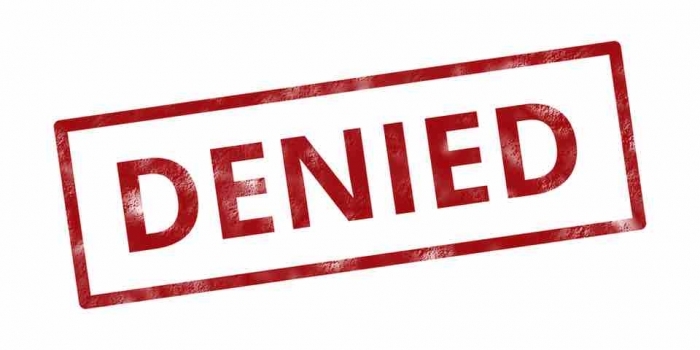 Insurance companies make a living by finding ways to not pay for medical services – if the physician really believes that they are needed, the physician pays the price in denial appeal time. Stupid rules. Nowhere is this more evident than in the observation status versus regular admission status designation for inpatient hospital stays. The coding and documentation requirements for billing these are immense and despite our best efforts, insurance companies will often contest patients being designated as inpatients unless they have spent 2 midnights in the hospital (less than 2 midnights, and they are considered outpatients). Another rule that insurance companies use is the “inpatient only” surgical procedure. If a surgery is classified as one that can only be performed on a patient if they are an inpatient, and the surgeon accidentally puts an observation status admission order (thinking that the patient will recover and only need 1 rather than 2 midnights of hospital stay), then the insurance company can deny the bill and doesn’t have to pay for the surgery. The amount of time that physicians and billing staff have to expend to document all of the nuances of observation status and inpatient only procedure status is huge and not a second of it impacts the actual medical care that the patient gets. Healthcare economists are searching for ways to reduce the costs of American medicine. Currently, we have by far and away the most expensive medical care in the world, yet the quality of care that our citizens receive on average is lower than most other industrialized countries. By simplifying our billing process and doing away with senseless coding and documentation requirements, our overall costs will go down and physicians will have more time to spend taking care of patients rather than billing for the care that they provide. The editorial that accompanied this week’s JAMA article stated that in the U.S., we spend about $500 billion in medical billing every year. You could give a lot of flu shots, do a lot of screening colonoscopies, and buy a lot of blood pressure medications for $500 billion a year.